Q & A Saturday – Should We Sell Our House When Getting a Divorce? In this video Shaun talks about some of the reasons to sell a house when getting a divorce. 1) Selling the House before the Divorce. 2) Selling the House after the Divorce. 3) Buying out your spouse. 4) Keeping the house after the divorce. 5) If you keep it the dangers that can arise. 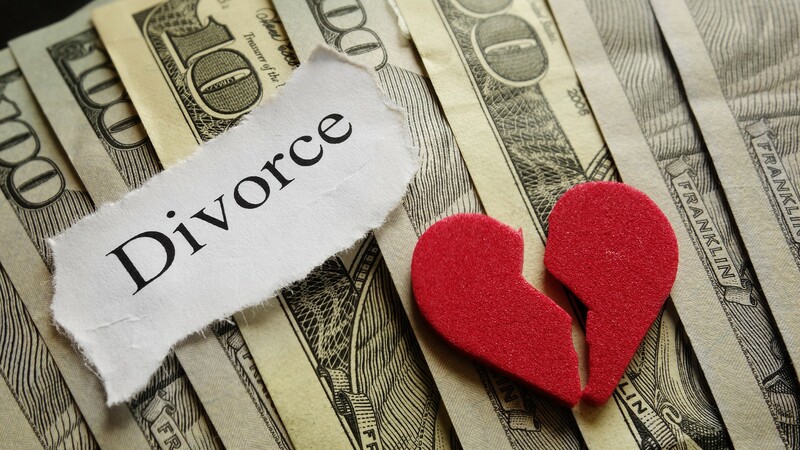 Going through a divorce can be one of the most difficult mental and emotional experiences someone can go through. When you couple that with dealing with what to do with all the assets of the marriage and things can be very overwhelming. Selling a house is also not a quick and easy process so that is usually the one that adds the most stress to the situation. Most couples that own a home will have that as the biggest asset so figuring out the equitable distribution of that equity is often the most important and most difficult thing to work out. There are 3 basic options that can be taken. The simplest one is to just sell the house and distribute the equity to both people and be done with it. Another option is to have one of the people to buy out the soon to be former spouse’s equity in the house, which again will have you done with it. The final and most complicated one is to have one of the spouses remain in the house but not buy out the other one. This can cause many issues and is without a doubt the most complicated and most risky for both sides. First the simplest solution is to sell the house. If it is in good shape and in an area where things are selling easy then you can probably go with a traditional sale with a real estate agent getting a good price without much hassle, hopefully. However if the house does not sell easy it can drag out for a long time and be a major source of stress. Even when going the retail route we recommend pricing it attractively (say 1-2% under market) to sell it fast. Selling fast is usually desirable since things can be more complicated, and emotions can be more bitter, once it is completed. Beyond the normal issues is a sale that can drag it out there are situations where this might not be practical. The obvious one is if the house is underwater and it can’t be sold for more than the mortgage. A short sale is a possibility or you might have to resign yourself to staying bond to your former spouse with this house for some amount of time. The next possibility is one spouse buying out the other one and staying in the house. Again this is a fairly straight forward process where the one that wants the house refinances the mortgage into just their name, removes the spouse from the title and pays for their equity. The problem here is that often one person can’t qualify for a new mortgage to pay off one that they both had to qualify for originally. Even when that is not a problem usually the house has to have enough equity that they can refinance past the remaining loan balance to cash out the equity to pay the other spouse. If that is not the case the money for that has to come from some other source. You of course will have all the same issues you would with selling if you are underwater with the loan. The last possibility is to keep the house and not change the ownership or financing at all but one person still lives there. This is most common when the couple has minor children and one or both parents want the kids to be able to stay in their house for some amount of time, often until they turn 18. Regardless of the circumstances this is the most risky for everyone. First off it is just disagreeable to be financially bound to a former spouse often for many years when you wanted to end the relationship. More practically if both people are on a mortgage it will show up on both peoples credit and can hamper either from getting new credit and whatever arrangements there is to pay it, if payments are not made both will get a ding to their scores, or worse if it continues. Even without any malicious intent things can happen. If your former spouse has agreed to pay some or all of that mortgage payment but then losers their job do you think that they will prioritize paying your mortgage over their own housing or food or other personal obligations they have for themselves? Doubt it! Do you want to sell a house while going through a divorce? Do you need to sell a house in Massachusetts or New Hampshire and don’t want to risk having the process drag out? If you would like to sell your home fast and hassle free schedule a consultation with us today.